Hay is located in south-western New South Wales approximately 735 kilometres from Sydney and is a prosperous agricultural area. The first brick court house in Hay was built in 1860. 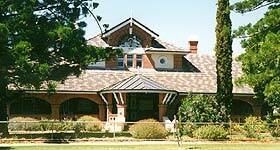 The current court house was erected in 1892, and has National Trust classification. CountryLink runs a rail service between Sydney and Cootamundra, with connecting coaches available from Cootamundra to Hay. Alternatively, coaches run to Hay from Wagga Wagga and Griffith regional airports. Visit Sydney Criminal Lawyers® for Criminal & Traffic Lawyers for Hay Local Court.